The hustle and bustle of Morocco is, for most travelers, a world away from their own homes. Part of the excitement and wonder of travel comes from new experiences. Don’t be afraid to get outside your comfort zone learn more about the local culture. Souks, traditional markets, are a way of life in Morocco and you won’t have to go far to find one. 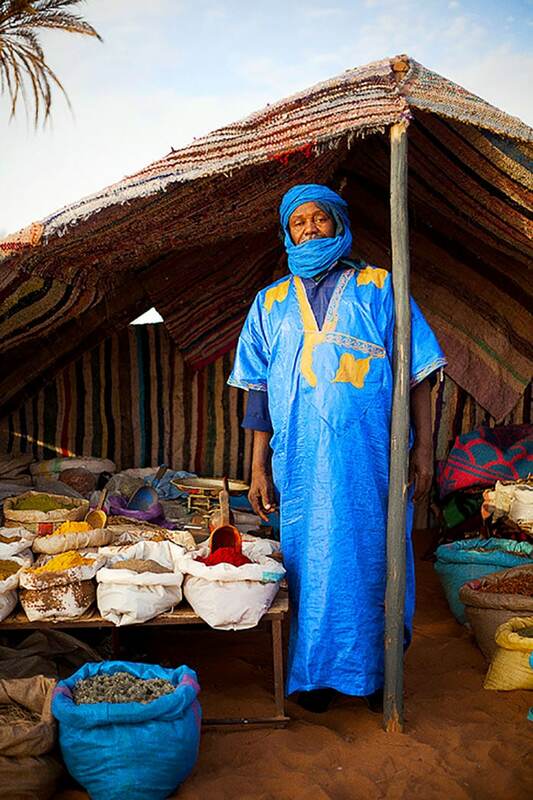 You can often get good bargains at souks, and haggling is a part of the experience. You may find that you will soon start to make friends with the locals. If you are invited to a meal, keep in mind some of the local customs. For example, you will usually take off your shoes when entering a house. You can follow your host’s example in this regard. Also it is traditional to take a gift. A home invitation is perhaps the most authentic way to sample Moroccan food. Most Moroccan dishes are eaten with the hands. If you are invited to join someone for a meal and you would like to eat in the traditional manner, you should always eat with the right hand. Be cautious when taking photographs of the local people. It is best to ask permission first. Taking a photograph of someone without their permission – especially in rural areas – can cause offense. This may result in them demanding money from you even if you only intended to take a scenic shot of something. In contrast, taking photographs of someone you have become friendly with is usually very welcome. 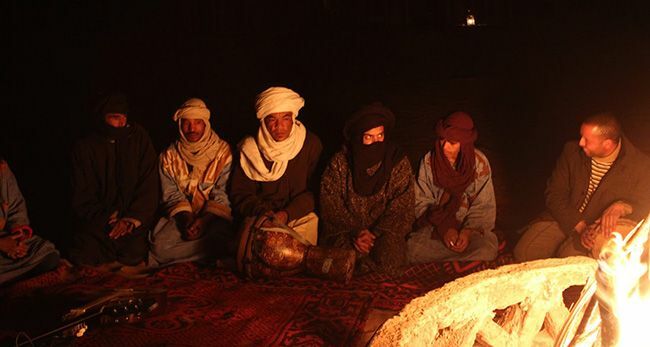 In general, Moroccan culture is an exciting and worldly experience. The people are friendly and the landscape is colorful. Hospitality is really a part of the culture so you can strike up friendships virtually anywhere. Usually this results in further association with these dynamic and interesting people and a real taste of Moroccan life. The desert vegetation is extremely vulnerable. It can survive with water deficit, high temperatures, strong wind, salty soil, but not the effect of tourism. Every trace left on premature plants will stop their growth for a long time and put the environment in the real danger. Please remember the number of animals diminishes whereas the number of tourist is growing fast. The art of Morocco is truly remarkable. Many historical examples are on display at local museums. More modern examples are on display at art galleries and in souks. There are many ways that Moroccan people express themselves – in carpets, clothing, jewelry, ceramics, sculpture, painting, carving, and calligraphy. These artisans hold an international art festival once a year to showcase their talent. If you have had the opportunity to visit Morocco, you should consider buying some of the local artwork. Not only will it provide you with a memento of your trip, but it will help the local artisans. 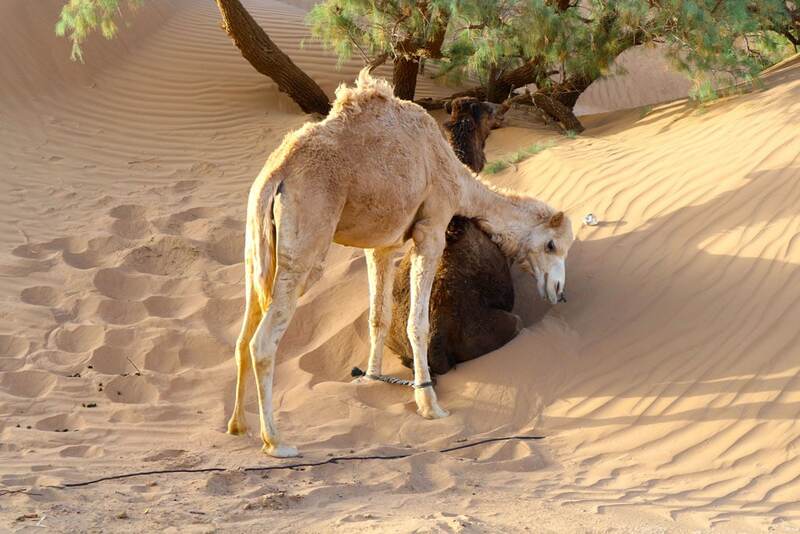 Morocco is often viewed as a destination that is surrounded by mystery, seduction and beauty. These opinions are reflected in the breathtaking architecture of Morocco. Although modern buildings have crept in and formed part of Moroccan architecture, it is the older buildings that exude allure, secrecy and architectural marvels from years gone by. Moroccan architecture has an exotic charm and many visit the country to look at a world that is steeped in tradition and culture. In fact, the architectural roots of Morocco can still be seen in the modern buildings that are constructed today. Architecture in Morocco is a blend of African and religious design styles, with religious styles dominating in this combination. This is not only viewed in the building itself, but the lavish gardens, extravagant decorations and elaborate use of deep and contrasting color. Turbulence in the history of Morocco is clearly seen in the strong desert fortifications (kasbahs) and the well-protected palace walls. It is also the style with which Moroccans choose to decorate the interiors of buildings that gives these architectural wonders a unique and majestic atmosphere. There are a few dominant characteristics in regard to the architecture of Morocco. Most buildings feature large archways and beautiful domes. It is also common to find enchanting courtyards, sprawling gardens and the use of ornaments to decorate the exterior of the building. Moroccan architecture also makes use of Islamic calligraphy as decoration as opposed to pictures. The use of color also plays a significant role in designs. Geometric patterns are also commonly found in the architecture of Morocco. Many cities have spectacular examples of Moroccan architecture and visitors will be amazed at the diversity and uniqueness of each building. Morocco has been loyal to its age-old traditions and cultures, not only in lifestyles, but in its architectural style. They have managed to modernize their cities without losing the richness and beauty of the past. There are many, many festivals in Morocco. Here are a few we'd recommend checking out. The children who ask you for whatever kind of support near the tourist trails are the not the poorest ones. Supporting charity organizations is a best way to make sure that the ones in need receive the support. Tip and gift appropriately. Giving tips and gifts out of proportion to local prices shows that you are rich and such behavior can even destabilize the local economy. Please do not give away medicine or give advice regarding medical care. If you want to help please contact the local government or hospitals. Support the local economy by using local transport and guides. They know their houses and gardens they will show you the best of it. Dress in lightweight, flowing clothes, even when it’s hot! When taking pictures ask people for permission first. Bargaining is a part of the culture; pay a fair value for the product. Traditional ksars and villages are tourist attractions. Do not try to prove that the modern lifestyle is the best. Moroccans generally don’t want to exchange their vivid ksars for modern museums.